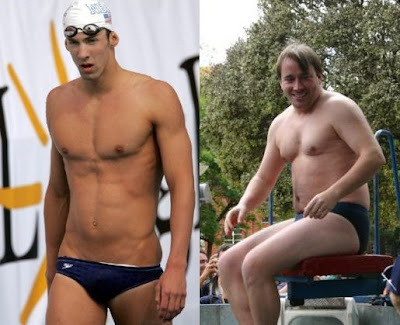 What does Michael Phelps have in common with Linus Torvalds? There's no question about Michael Phelps' speed. He currently holds an outstanding 7 world records in swimming. In case you didn’t know, at age 15, he became the youngest man ever to set a swimming world record. Linus Torvalds is known for pioneering the lightning fast, "release early, release often" software development model. This is a remarkable fact: When Torvalds was 21 years old, during the early years of Linux, he released a new kernel version more than once a day! Winning a record breaking 8 gold medals in one Olympic Game requires amazing strength and endurance. We watched in awe when Phelps achieved this at the Beijing Olympics. He has also won 6 gold medals in the 2004 Athens Olympics, and he said he will try to get some more in London four years from now. In this year’s Summer Olympics, Michael Phelps not only dominated the individual events in swimming, but also lead his team-mates gather 3 gold medals in team relay categories. Phelps’ uncanny swimming abilities along with his leadership and inspiration clearly helped his team in getting the gold. As Linux kernel development's project coordinator, one of Torvalds' main tasks is maintaining order out of chaos. Successfully managing thousands of contributors from different parts of the world is no easy feat, but his excellent leadership skills helped him achieved the impossible. In 2005, he appeared as one of "the best managers" in a survey by BusinessWeek. Michael Phelps, as reported, made an estimated $5 million per year in endorsements, including a $1 million bonus from swimsuit maker Speedo for his recent triumph. With his winning smile, humility, and charisma, he will make some more as mega endorsements are certainly coming his way. Though Linus Torvalds maintains a low profile, he is considered a rock star by many software developers and computer geeks. In 2004, he was named one of the most influential people in the world by the Time magazine. His computing achievements and his no-nonsense attitude truly made him an icon. What does this article have in common with Michael Phelps? Its tremendous reach. The swimmer is competitive, the developer is cooperative. Given the nature of competition it is clear who is the best. Given the nature of cooperation, you can observe how a role is fulfilled, you can assert the quality is great. In a competition it is clear who is best, it is measurable. In cooperation there is no such thing as the result is a shared achievement. In the end such comparisons may be amusing but they are pointless. And like Michael Phelps, Linus Torvalds is dating Stephanie Rice! ..err, or is that going a bit too far?